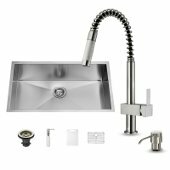 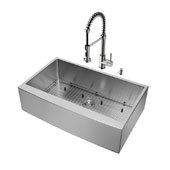 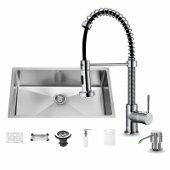 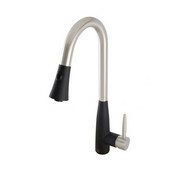 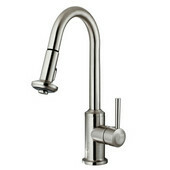 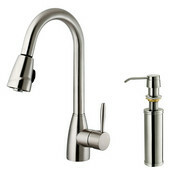 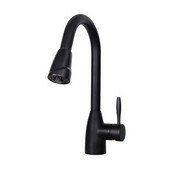 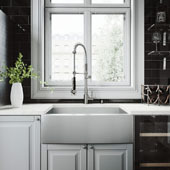 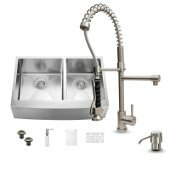 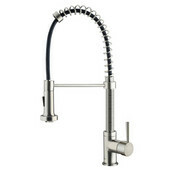 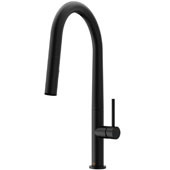 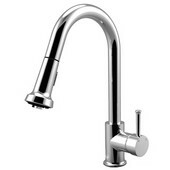 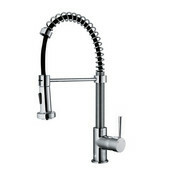 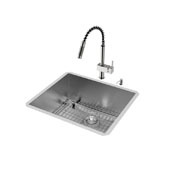 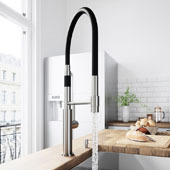 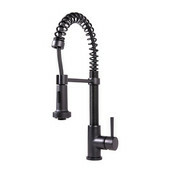 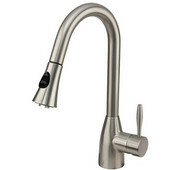 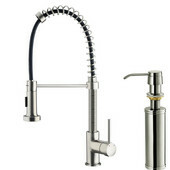 Vigo Edison Pull-Down Spray Kitchen Faucet in Chrome, Faucet Height: 18-1/2", Spout Reach: 9-1/2"
Vigo Edison Pull-Down Spray Kitchen Faucet in Stainless Steel, Faucet Height: 18-1/2", Spout Reach: 9-1/2"
Vigo Edison Pull-Down Spray Kitchen Faucet in Matte Black, Faucet Height: 18-1/2", Spout Reach: 9-1/2"
Sold individually or with a sink-and-faucet set, Vigo's kitchen faucets are built to last. 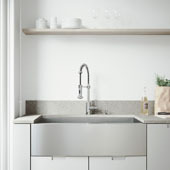 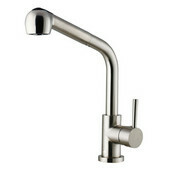 Solid brass construction ensures durability, while Vigo's finishes are desined to resist corrosion and tarnishing. 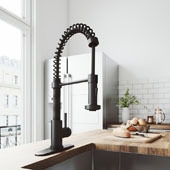 Pull-out spray options feature a powerful spray to clean dishes with ease.